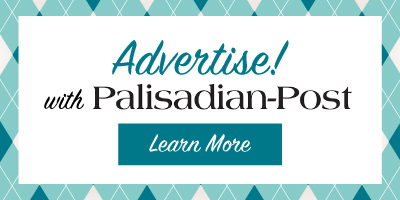 As of March 31, 93 single-family Palisades residences were listed in the Multiple Listing Service. The current level of inventory is 55% higher than last year’s March 31 available inventory. In fact, now is the first time in the last 10 years that there has been greater than a six-month overall level of inventory in the Palisades in the first quarter. A total of 33 homes were sold in the Palisades in the first quarter of 2019, which is a 33% decrease from 2018. Median sale prices ($3.08 million) were down 10% from 2018’s first quarter. The median list price is currently $4,695,000, which is a 16% increase over the same period last year. There are currently 17 escrows open in the Palisades, which is a 37% drop from the end of the first quarter last year. The lowest-priced residence available is a four-bedroom, three-bath home on Avenida de Cortez, which is being offered at $1,795,000. The highest-priced available property is a seven-bedroom, 11-bathroom on Paseo Miramar, which is listed at $25 million. The most affordable areas so far in 2019 are The Highlands and Castellammare/Paseo Miramar areas. The Riviera had the highest median average sales price and was 13% above the next median high neighborhood. The upper Bienveneda/Marquez and Highlands areas currently have the largest number of homes for sale in the Palisades. The lowest sale price for the first quarter of 2019 was on Swarthmore ($1.85 million). The highest sale ($13 million) so far this year was on Amalfi Drive in The Riviera. There are 15 condominiums/townhouses on the market, which is 150% more than what was available at the end of the first quarter in 2018. They range from a one-bedroom, one-bath on Sunset, offered at $614,000, to a one-bedroom, two-bath on Sunset for $1,995,000. Seventeen condominiums were sold in the Palisades since the start of the year, ranging from a one-bedroom, two-bath on Sunset, which sold for $615,000, to a two-bedroom, three-bath on Sunset, which sold for $1.93 million. The median sales price for condos at the end of the first quarter was $1,175,000, which is up only 2% over 2018 first quarter median sales prices. There are currently four pieces of raw land available, ranging from $920,000 for over an acre lot on Palisades Court to $25 million for six lots on Paseo Miramar. There are two lots in escrow and none have sold yet this year. There are currently 55 available leases in the Palisades, starting at $2,690 per month for a one-bedroom, one-bath on Castellammare and asking as high as $85,000 per month for an eight-bedroom, 13-bath house on Rivas Canyon. There were 53 Palisades leases done in the first quarter of 2019 (slightly down from last year’s first quarter), ranging from a studio apartment on Glenhaven, which leased for $2,160 per month, to a five-bedroom, seven-bath new home on De Pauw, which leased for only three months at $35,000 per month. The current median lease price is approximately $8,500 per month. 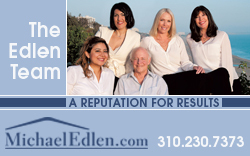 Michael Edlen, an agent with Coldwell Banker, has been keeping statistics of Pacific Palisades housing prices for the last 33 years.